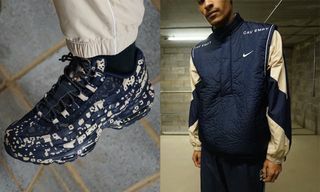 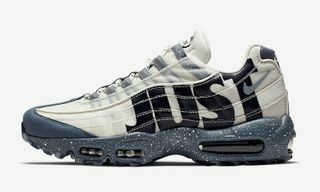 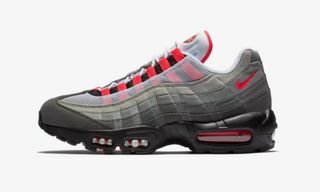 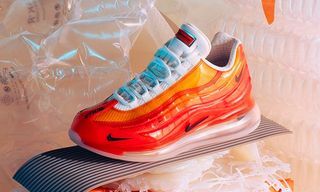 Key Features: Mixed material upper composed of a textile fabric mixed with leather accents, red trimming along the upper side paneling, script “NSW” branding on the heels and insoles, visible Air Max cushioning in the midsole. 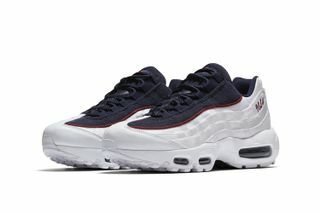 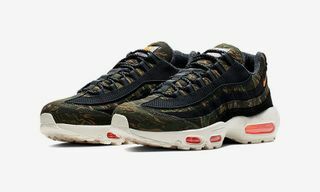 Editor’s Notes: The crowd-favorite Nike Air Max 95 is back this summer in a premium makeover. 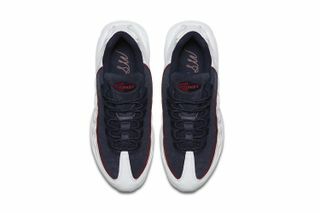 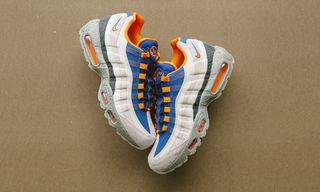 Draped in a clean and bold colorway dominated by white, and contrasted with navy and red accents, the silhouette is punctuated by “NSW” (Nike Sportswear) branding embroidered across the heels. 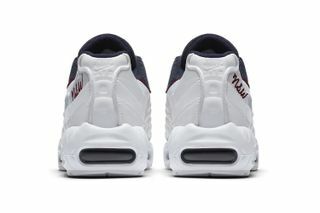 A release date for this runner has not been confirmed yet, but stay tuned for additional details. 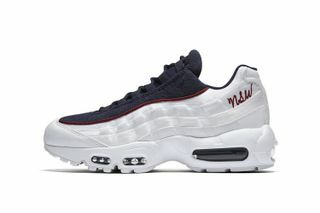 Up next, a new report shows that women are choosing sneakers over high heels.